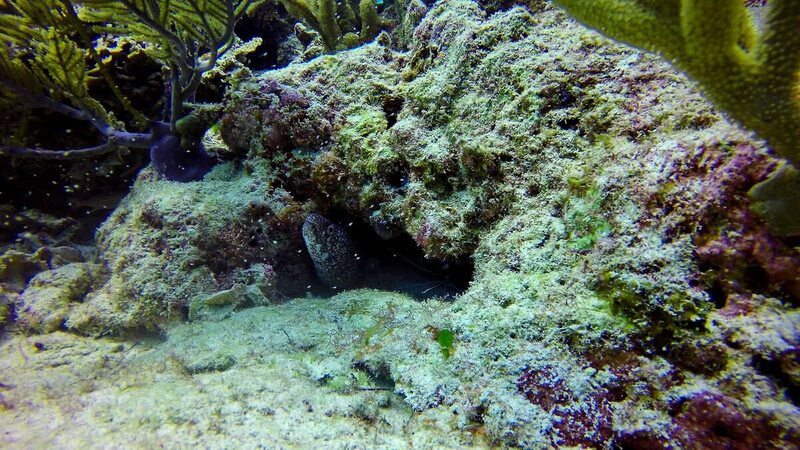 Ocean dive in Playa del Carmen. 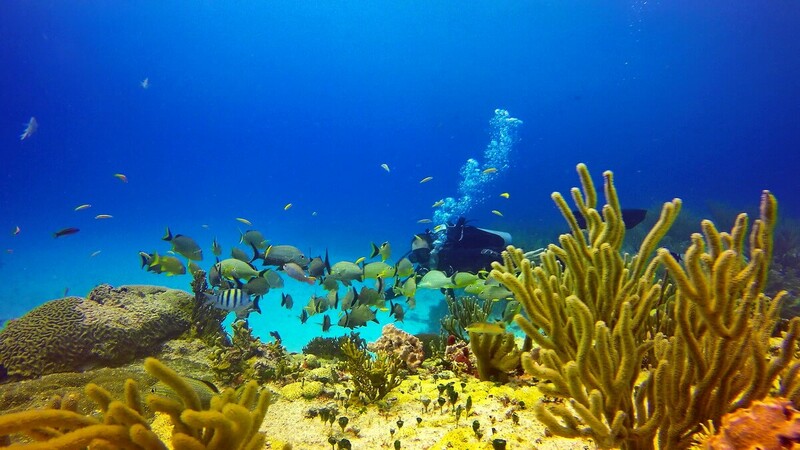 Diving on reefs Playa del Carmen is suitable for everyone, both sophisticated divers and beginners. Near the city there are about 15 dive sites. For lovers of deep diving, there are walls going vertically down to the abyss, overgrown with huge sponges. 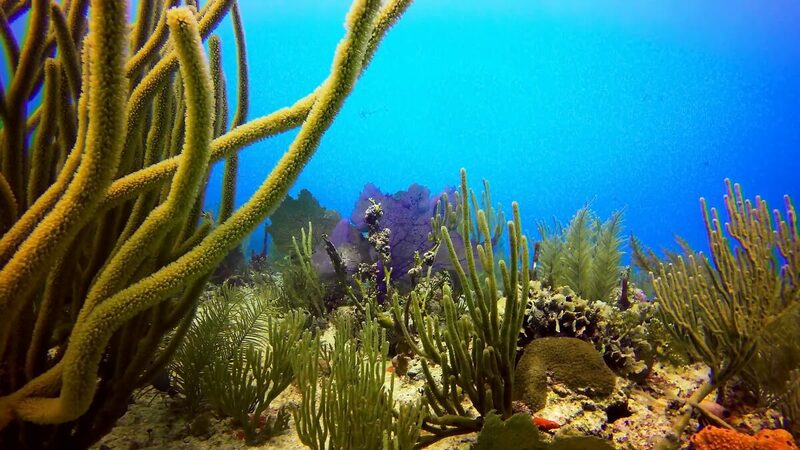 The small coral reefs of the Caribbean, called “marine tropical forests” or “underwater gardens,” they form one of the most diverse ecosystems on Earth. 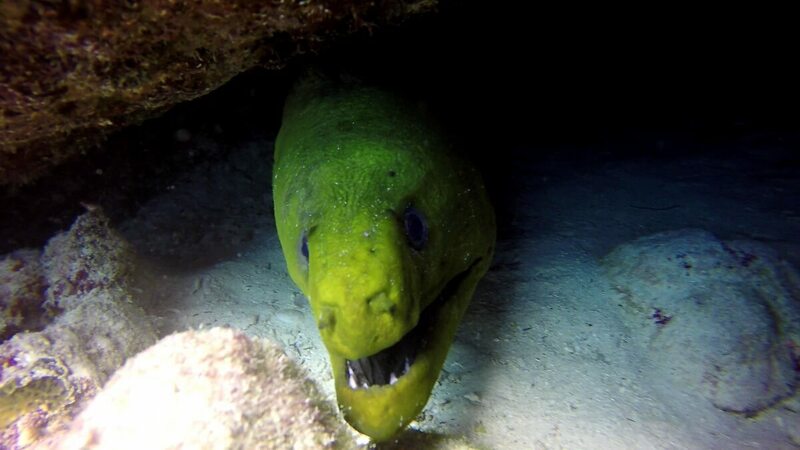 Here you can meet a giant barracuda, several types of moray eels, stingrays including spotted stilt-eagle, lobsters, crabs, and many bright tropical fish. 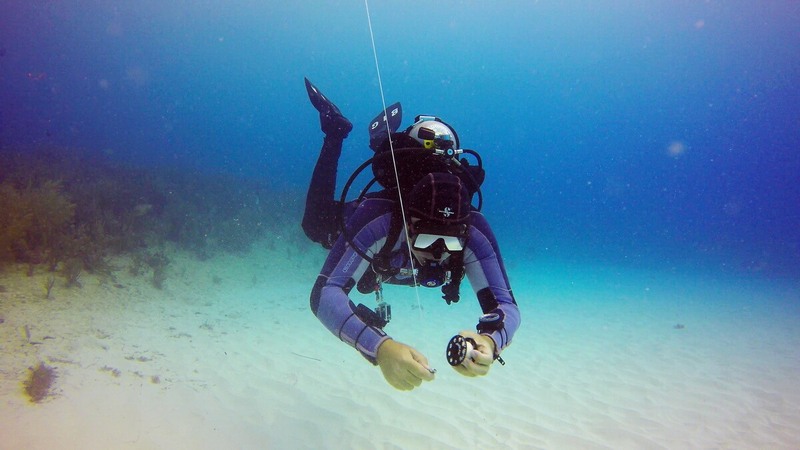 Depths: The sites are located in the range of 8-40 meters. Visibility: usually from 20 to 25 meters. Water temperature: average water temperature in winter 26 ° C and 30 ° C in summer. 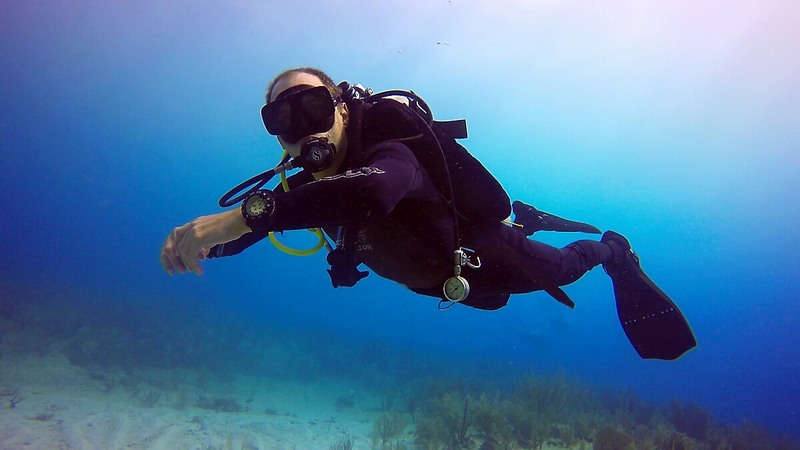 Dive season: Playa del Carmen can offer excellent diving almost all year round. 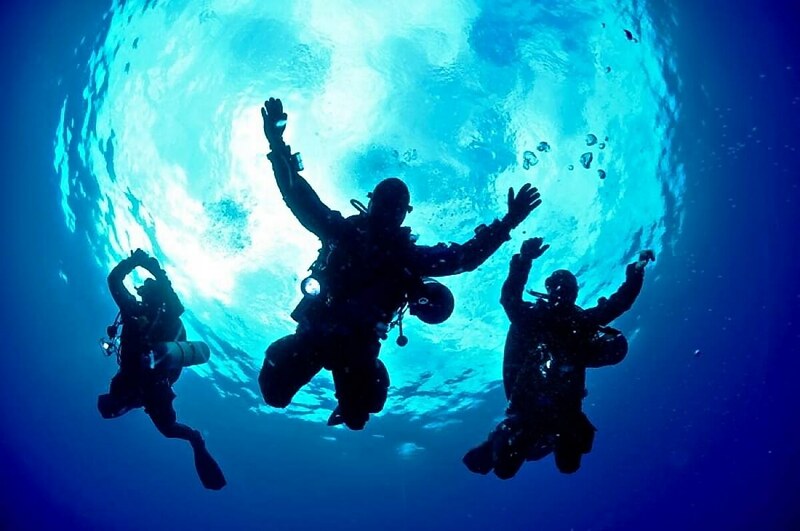 The rainy season lasts from September to November and is not a big hindrance to diving, and from December to March – the largest influx of tourists. So, that the choice of the season is yours. Weather: The climate in Playa del Carmen is subtropical. The average temperature is 21 – 29 ° C, humidity is usually high, about 90 percent, but it is softened by a constant breeze. 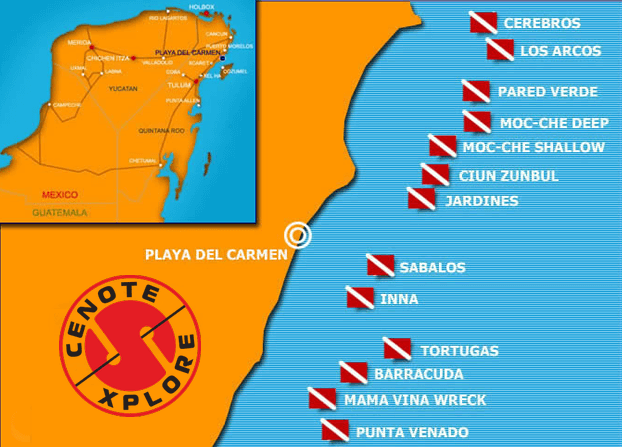 Our dive center offers diving in Playa del Carmen: the exit is daily at 8.30 am from the beach in Playa del Carmen except for the days with bad weather conditions. Please reserve dates in advance. Arrival at the pier and prepare for 15-20 minutes before the boat leaves. This entry was posted in News and tagged in дайвинг в мексике, дайвинг в сенотах, дайвинг на ривьере майя, куда лучше поехать в мексику.